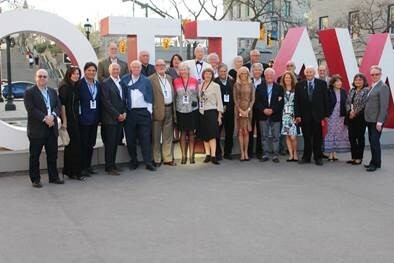 The University of Ottawa Common Law class of 1978 reunited at the beginning of May in Ottawa’s ByWard Market to celebrate the 40th anniversary of their time at the law school. 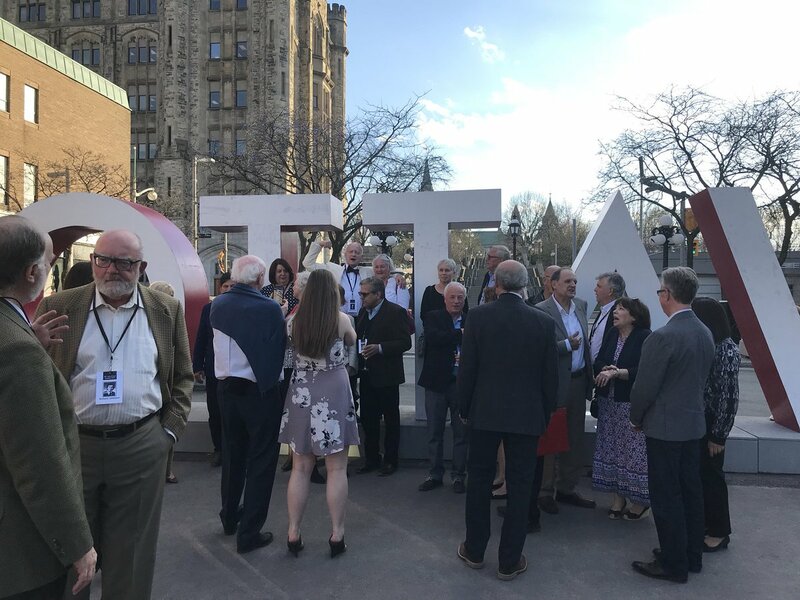 Alumni and friends from Vancouver, Toronto, Burlington, New York, and Cornwall joined fellow graduates living in the National Capital Region at the event, which was organized by Derek Nicholson, a Partner with Beament Hebert Nicholson LLP in Ottawa. Dinner was held at Restaurant e18hteen. 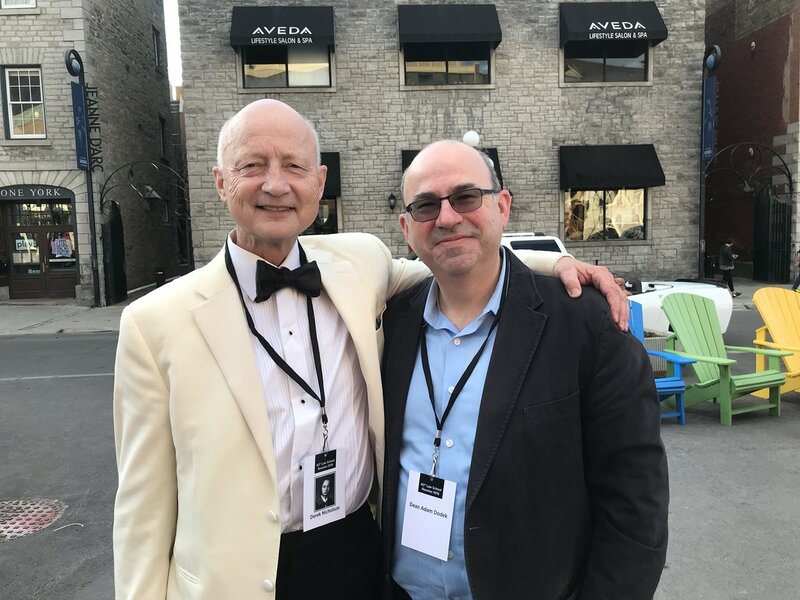 Dean Adam Dodek attended, as did retired Professor Julien Payne. Professor Payne was asked to give a reading from his Family Law class circa 1976. The audience was enraptured! Further opportunities for reunion events will take place during Homecoming weekend, October 19-20, 2018. We look forward to sharing your stories! Derek Nicholson and Dean Adam Dodek.